Matched betting is a great way to earn some extra money. More and more people have discovered this in recent years. If you really want to make the most out all the matched betting opportunities out there then you will have probably looked at a matched betting service. Due to this surge in popularity there are more and more matched betting services competing for customers. Competition is good for us as matched bettors as it means we get better services and they have to offer us more value for our money. Lets take a look at one of the first and most popular matched betting services. Profit Maximiser was the first service that really showed you how to exploit every opportunity available. I had known about matched betting previously but after joining Profit Maximiser I realised there was a whole lot more money to be made. What Does Profit Maximiser Offer? Like I said previously Profit Maximiser really opened my eyes to all of the betting opportunities out there. I found the service to be very professionally run. There are videos of the offers and walk through guides in the private members area. Help is on offer through email support if you have any questions. Exploiting casino offers is the area that Profit Maximiser really excels in. Mike Cruickshank is really ahead of the curve when it comes to making money from casino bonuses. Another aspect of Profit Maximiser that I really enjoyed was the Facebook group. It was really active with a lot of experienced matched bettors and useful advice being shared. 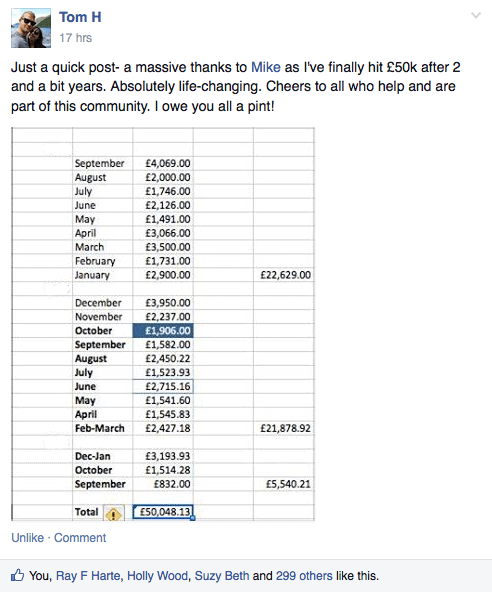 Quite a few members of Profit Maximiser have gone on to make large sums from matched betting. Some members have achieved some big profits. The whole service is very well put together. Furthermore the man behind Profit Maximiser Mike Cruickshank deserves a lot of credit. This service really was a big part in the growth of matched betting which has really exploded in popularity. Initial Cost is £116 pounds for a years subscription. Oddsmonkey began life as a odds matching service and software provider for matched betting services. A few years ago after seeing the rise of matched betting services they created their own. The ethos of the Oddsmonkey service seemed to be to emulate a service like Profit Maximiser but also add as much value as possible at a reasonable price. After my Profit Maximiser subscription ended I joined a few different services to see what they offered. Eventually I settled on Oddsmonkey as I found that it was the service that by far offered the most value for my money. The service is excellent with a clean interface that is easy to navigate. For £17.99 a month they really packed a tonne of useful software into the service. I mentioned a con of the Profit Maximiser service was receiving multiple up sells to other products. For example there is the Each Way Sniper (around £47 plus VAT) and Accumulator Generator (£148.99 plus VAT). Each Way Matcher shows you how to make risk free profits from horse racing. Oddsmonkey includes services similar to Each Way Sniper and Accumulator Generator with its £17.99 pound a month service. So as much as I like Profit Maximiser ,I believe that Oddsmonkey offered me much value for my money in terms of matched betting. Another point that I liked about the service was that I wasn’t tied in to a long term subscription. If I was going away for three weeks and wasn’t going to use the service much I could cancel. When I was going to make full use of the service I could then sign up again. The subscription options offer great flexibility. Profit Maximiser and Oddsmonkey are the two services that I have used the most. However there are a lot of matched betting software providers looking to offer their services. Profit Accumulator is one of the big three services. This is not a service that I have used but from talking to members of the service it is very similar to Profit Maximiser. 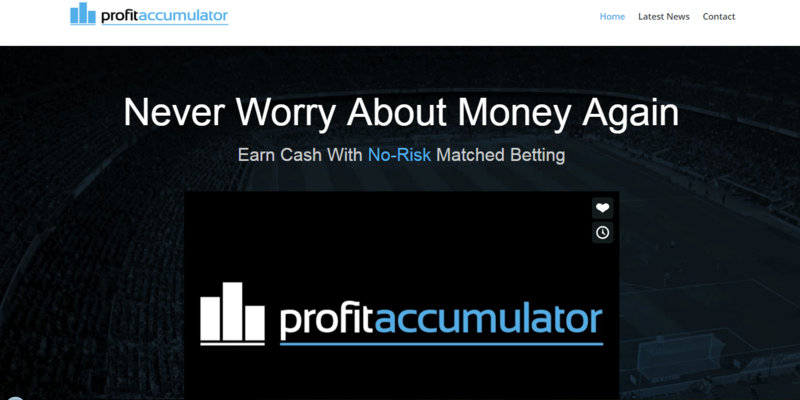 Profit Accumulator have done a great job of marketing matched betting to the public. They boast to my knowledge the biggest matched betting community around 20.000 plus members. Subscription cost either £22.99 month or £150 for the year. Another service that I used for a few months was profit ninja’s. Profit Ninja’s is one of the lesser known services but they offer quite a good product. On top of a general matched betting product with odds matching software they also provide a few Betfair trading strategies. They offer subscriptions for £10 a month or an annual fee of £100 with odds matching software. You can probably guess from this article which service I am going to recommend. For matched betting Oddsmonkey is the service that I currently use and it continues to be the stand out matched betting service for me. On top of it being such an excellent service. You trial Oddsmonkey yourself for 30 days. If you don’t get enough value for your money you can get a refund. It’s a no brainer for me if your looking to make money from matched betting go with Oddsmonkey. Used a few marched betting services. Agree Oddsmonkey is top.